Great Value and Great Features: The Best of Both Worlds. The New Buffalo TeraStation™ TS3400 series (TS3400D-EU / TS3400R-EU) is perfect for small businesses, branch offices, and demanding home users looking for a featurerich – and economical – Network Attached Storage solution. 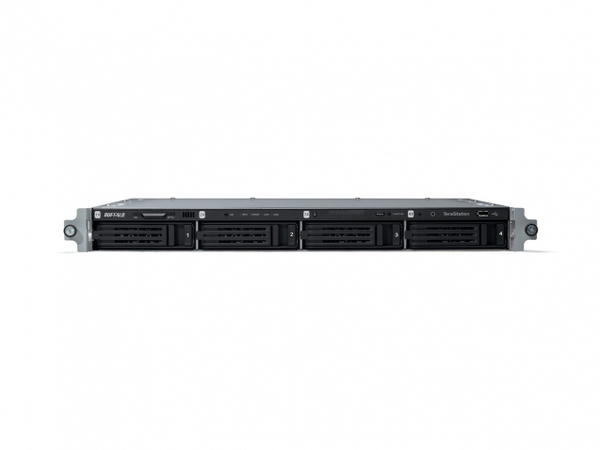 Users will be impressed with the TS3400 for its business-class feature set, fast network transfer rates, and available capacities of up to 16TB. And even better, the TS3400 is equipped with the latest Marvell ARMADA Dual-Core CPU processor and 1 GB of DDR3 RAM. The TS3400 is ready-to-go with important features to support your business such as Active Directory support, IP camera recording, iSCSI target, and a faster, and easy-touse interface. All of this, together with two Gigabit Ethernet ports, two super speed USB 3.0 ports and two high speed USB 2.0 ports, gives users a versatile and feature-rich NAS. 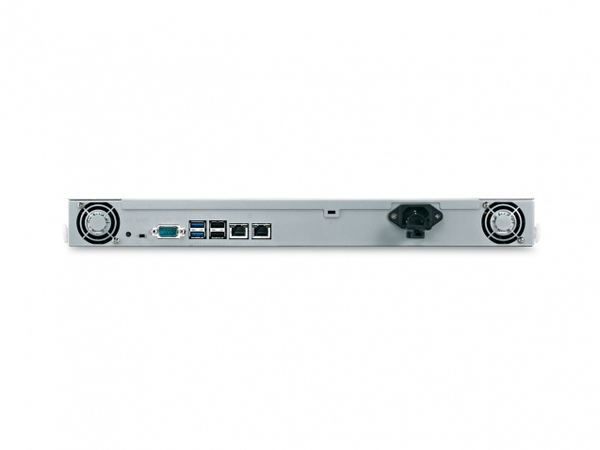 The Rackmount version also includes an additional front-facing USB 2.0 port. 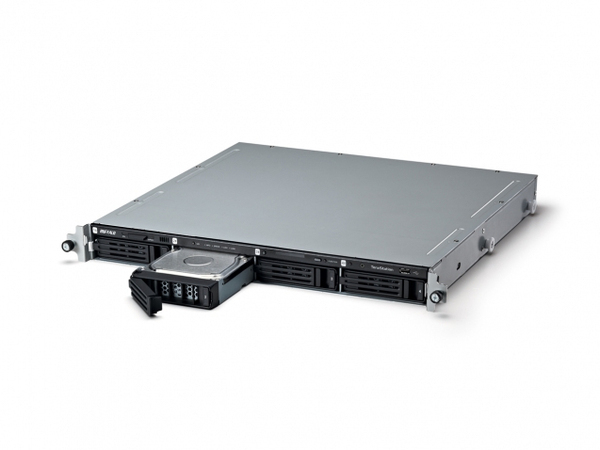 TS3400 protects your data with RAID, and hot swap functionality allows users to change disks without downtime. Another added bonus: the new TS3400 also comes with 10 free NovaStor NovaBACKUP® licenses. The TS3400 series offers the Buffalo quality and high reliability you’ve come to expect from us in a model that fits your needs thus making it the clear choice for demanding users who want an affordable NAS with business-class features. 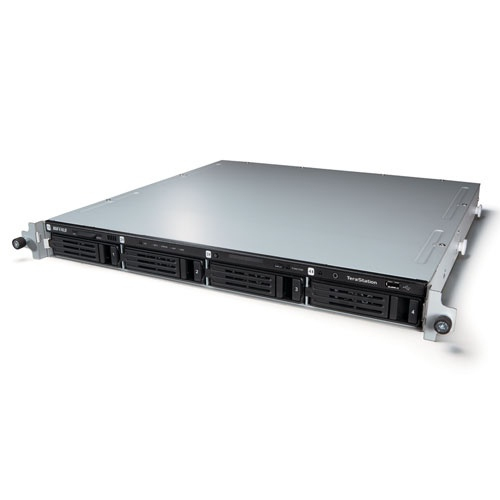 The TS3400 series comes in both Rackmount and Desktop versions fully populated with capacities of 4, 8, 12TB. The Desktop version is also available fully populated with 16TB capacity.